NOTE: This is not a claim. This was a private sale directly from the breeder. 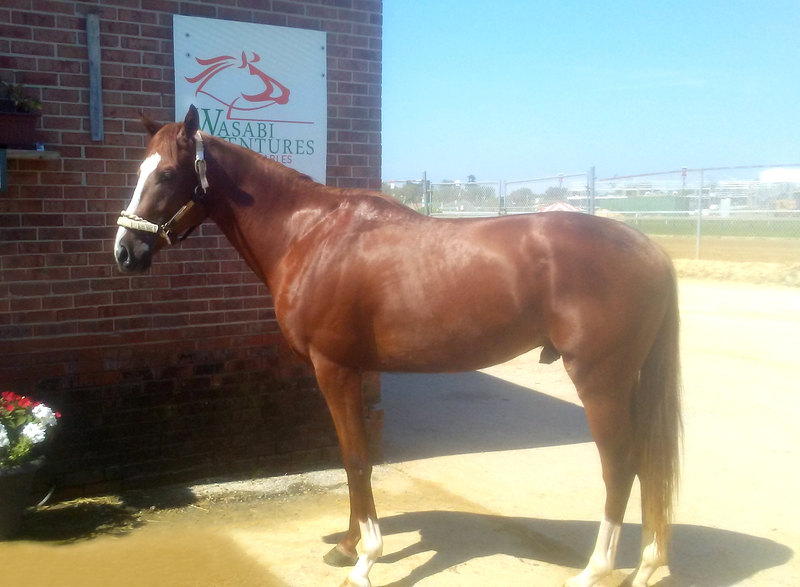 This 2 YO colt is Maryland-bred and Virginia-certified so we have maximum opportunities for bonuses. The horse is broken and already working at Pimlico in the barn of Beth Worton. Because of our relationship with the trainer, we were able to negotiate a price that was reasonable and allows our Club members the opportunity to get into a young 2 YO for minimal cost. The horse is not yet registered with the Jockey Club, but we will do that shorty. 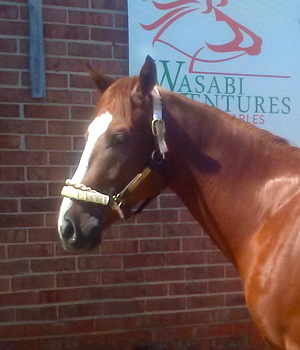 NOTE on NAMING: Part of the deal with buying the horse was that we had to commit to keeping the name, so he is named Willie the Whale! NOTE on PRICE: Because we are trying to maximize the opportunity for people to be a part, we are not adding any training fees to this two year old. UPDATE on 7/22/18: Cantored out of the gate today. Making great progress and moving forward. This colt is by Fiber Sonde, currently the leading sire in West Virginia with just shy of $1 million in progeny earnings already in 2018. He has no fewer than seven stakes winners to his credit, including the likes of Bullets Fever, Hidden Canyon and Moonlit Song. Despite having never raced, Fiber Sonde's pedigree is second to none, being an Unbridled's Song half-brother to the Eclipse Champion Sprinter and top sire Speightstown. His dam, Anchor N Hope, is a daughter of the Fountain of Youth-G2 and Tampa Bay Derby-G3 winner My Prince Charming, who was a leading sire in New Jersey. Willie The Whale was bred by my son and myself in MD by a leading WV sire Fiber Sonde. His dam was the first horse I ever galloped on the track, for her then owner Vincent Venditti. Vince was family to my kids and I, and we inherited quite a bit of his property when he passed away of cancer in 2014. I'm telling all of this because so many people have asked about his name! Vince showed me a picture at Thanksgiving one year of him on a horse he had years back that he rode in fair races. The horses name was Willie The Whale! Because Vince meant so much to us, and we were left Willies dam (who we call Hope) by Vince, I thought it was only fitting we name him after a horse that meant a lot to Vince. My filly Vinny Gorgeous is also named after him, as she was born a week after he died. (But that's another long story on that name!) He was broke by Stephanie Nixon at Horseshoe Hill Farm in Ashland, VA and is also VA certified, as well as WV sired, and MD bred, so we have lots of options with him. He is galloping well and will hopefully have his first breeze within the next week.